Only a few years after the nostalgia-driven AR frenzy that was Pokemon Go, Niantic has announced it’s going to cast an incendio charm on the world with an AR Harry Potter game titled Harry Potter: Wizards Unite. Understandably, there’s a lot of excitement around Wizards Unite. Like Ron at the Hogwarts feasts, we’re gorging ourselves on every bit of information we can get our hands on, and we were even lucky enough to try the game out for ourselves. We've put together this handy guide to everything you need to know about Wizards Unite, including the release windows, features and all the latest news. 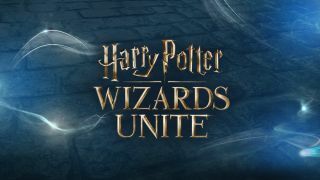 Niantic has confirmed Harry Potter Wizards Unite will release in 2019. It's likely we will see it arrive in July, 2019 - just in time for the muggle children's summer holidays. You can enlist for Harry Potter: Wizards Unite now through the game's official website. Simply fill in your date of birth and email address, and the Ministry promises to keep you updated on the "unfolding calamity". Inns 'serve' a variety of cuisine (both magical and British), with each plate giving you more spell energy to use for combat. Some plates give more energy than others, so you are presented with several covered serving dishes and asked to pick one at random. It’s down to luck of the draw and you have to wait another five minutes before you can pick another - but don’t worry, the world is littered with inns to gather energy from. Alongside inns, the other notable buildings dotted across the map are greenhouses. Greenhouses reward you with ingredients, used for potion brewing, but much like inns what you get is the luck of the draw. You are presented with five plants and asked to pull up one to reveal your ingredient prize, again waiting five minutes before you can pick again. These ingredients are then used for potion brewing necessities such as health potions (there will be 10 potions available at launch), with skills such as brewing time, yield and quantity being able to be upgraded as you progress. While adventuring you will come across beasties and wizards in the world that are protecting the 'foundable items' (that's what Niantic is calling them) you’re trying to track down. It’s your job to dispel the confounding magic being used on the foundable so you can return it or defeat the witch or wizard that’s causing you grief. Before you begin the battle you can assess the threat level of your enemy to decide if it’s worth the risk. This is done by tracing the spell symbol shown on your screen, including swiping then urged to defend. Your success is based on the accuracy and speed of your trace (and luck). Some battles are landmark events, which feed into the game’s main story and often see you revisiting a classic event from the Wizarding World franchise - such as saving a Quidditch-clad Harry from a fatal Dementor’s Kiss. All victorious battles reward you with experience, contributing to your overall level, however landmark events are the key ones to keep an eye out for. According to Niantic, there will be over 100 AR events at launch. Much like Pokémon Go’s raids, Fortresses are battles which offer more powerful items but required you to team up with others. At present, you can take on a Fortress with up to four others (making a total of five). However, to take part in these you need to use rune stones (which you obtain from the aforementioned treasure chests) . However, unlike Pokémon Go raids, there are extra layers to Wizards Unite fortresses. The first is that Fortresses have 10 levels, as you beat each one you progress to the next, more challenging, level. Wizards Unite lets you choose from three professions: Auror, Magizoologist and Professor. As you gain experience and gain items, you can invest into progressing in your chosen field. Each of these professions has its own strengths and weaknesses when it comes to battle so, when you take on a Fortress, you should be a bit strategic about how you approach the battle and who takes on which enemy. Except, at present, it doesn’t seem to have a huge impact (from what we experienced). Fortunately, if you change your mind about your profession, you can change your choice at no cost, while keeping the progress you made in that profession. You first create your Ministry of Magic ID by taking a selfie you can then customize through AR: including adding hats, wigs, glasses etc. You can later choose your specific Hogwarts house and wand for that extra personal feel. Each time you dispel a confoundable you obtain a fragment of the item or creature you returned. When you have collected all the fragments, you get a lovely sticker to pop in the registry - a bit like panini stickers. For example, after saving Hagrid from a sticky situation, we obtained a sticker for him (as he only had one fragment). Meanwhile, Buckbeak required nine in total - so he needs saved nine times in total. These stickers are categorized in specific families which each have their own experience, so Hagrid and Buckbeak were part of Magical Creatures, while Professor McGonagall would be part of the Hogwarts collection. Once you’ve collected a sticker or completed a collection, you are awarded with a treasure trunk full of items to aid you on your adventure. Niantic’s real world platform means Wizard’s Unite map is rendered much like Pokémon Go’s. However, despite being built on the same AR software, the similarities become more distinct as you play. The Wizards Unite world is a living and breathing map, complete with owls swooping overhead, spell remnants from other players and ingredients to scoop up on your journey. This dynamic map means that a variety of aspects influence the creatures, events and ingredients you come across, including moon phase, weather and time. Set in the present day, Wizards Unite sees the Wizarding World facing an existential crisis which is threatening to explore the magical world to muggles. This "calamity", as Niantic calls it, sees beasts, people and artifacts from the Harry Potter franchise being scattered across the world and it’s up to players to contain it. The Ministry of Magic is calling for wizards (aka players) to join a task force in an effort to locate these magical items, dispel the confounding magic surrounding them and return them before muggles catch sight. We haven’t been told the exact nature of this calamity, and that’s purposely done. Niantic’s aim is for players to gradually pick up pieces of the story as they progress, discussing it with one another and creating a discussion around the game. However JK Rowling isn’t involved with Wizards Unite’s story, so how canon the plot is is arguable. "Your forever Harry Potter game"
Niantic has promised this will be a long-haul game much like Pokémon Go - they even have post-launch content planned. "Please resist the urge to panic. Traces of magic are appearing across the Muggle world without warning and in a rather chaotic manner. We worry it is only a matter of time before even the most incurious Muggles catch wind of it. We call on all witches and wizards to help contain the Calamity or risk the worst of times since You Know Who. Brush up on your spells, get your wand ready, and enlist immediately."